Ooh! Lima beans on a comb! The adorable brothers from Nickelodeon receive a makeover with Funko Pop Angry Beavers. Airing for four seasons, The Angry Beavers documents the lives of two Oregon brothers, Daggett and Norbert, after leaving their parent's nest. 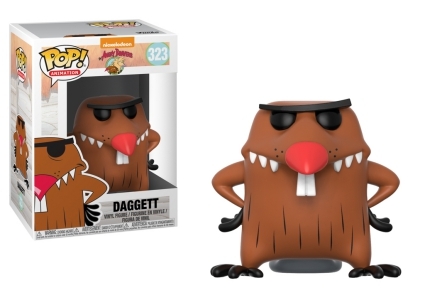 Funko Pop Angry Beavers offers Daggett (he's the brown creature) posed with hands on his hips and a gray tail resting underneath his body. 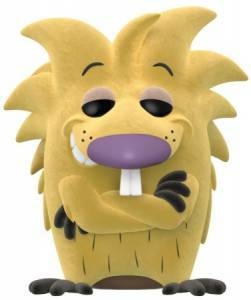 Also quite noticeable is Daggett's pointy red nose and sharp teeth. Exhibiting a more golden color, Norbert stands arms crossed with his fur slightly spiked. 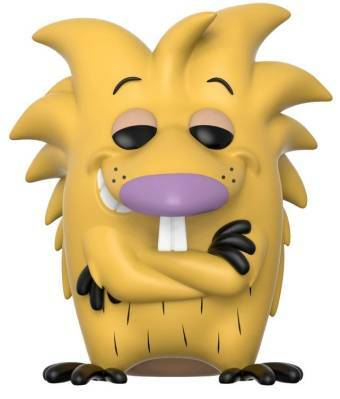 Order Pop Angry Beavers Figures on Entertainment Earth. 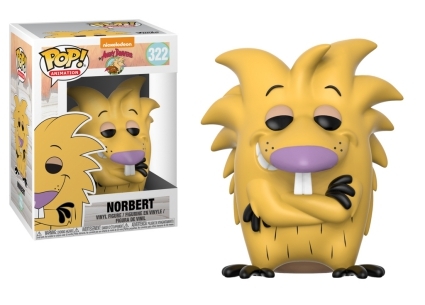 In addition to the individual options, Funko Pop Angry Beavers includes a two-pack featuring a flocked Daggett and Norbert. 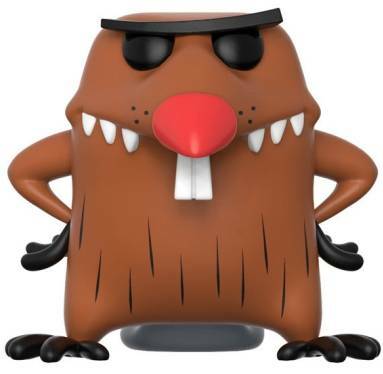 The FYE exclusive figures add an element of texture that gives the mammals a fur-like quality. Funko Pop! Animation Nickelodeon Angry Beavers Daggett #323 WITH PROTECTOR! See more Nickelodeon-themed sets with our other Funko Pop! guides.